Y'all don't hate me for this, but I'm not the biggest fan of spring. The yellow dancing clouds of pollen that follow me? The allergies? No thanks. But the colors? The florals? LOVE. I also just happen to be a fan of FabFitFun's spring box. And today I'm opening it right on up for y'all. HelloLegs--Use this lotion for shaving. It really does make legs smooth, but maybe it was my Schick razor? 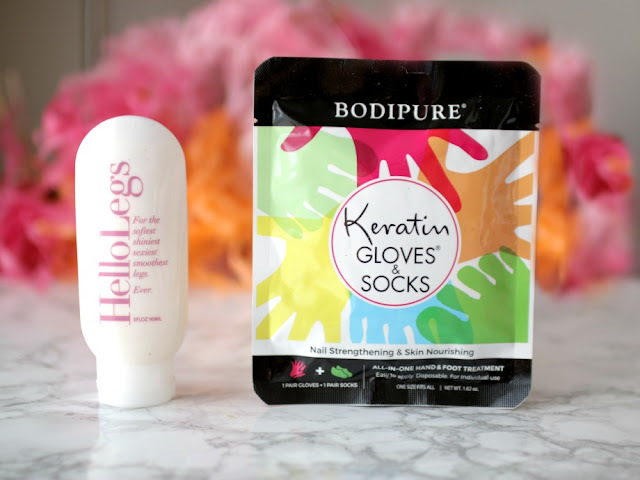 Bodipure Keratin Gloves & Socks--These disposable socks and booties give you that mani-pedi treatment at home. Leave on 20 min. I've shared similar ones on here before. Jook & Nona Happy Necklace--You got to pick the word you wanted. I decided to let them decide. I got "happy." I think it was the perfect choice. Merrithew Mat Strap Plus--This provides resistance in yoga. That's all I know, since I have one experience with yoga. If I get 200 views on my video, I'll tell you the story. Do you love and use these? 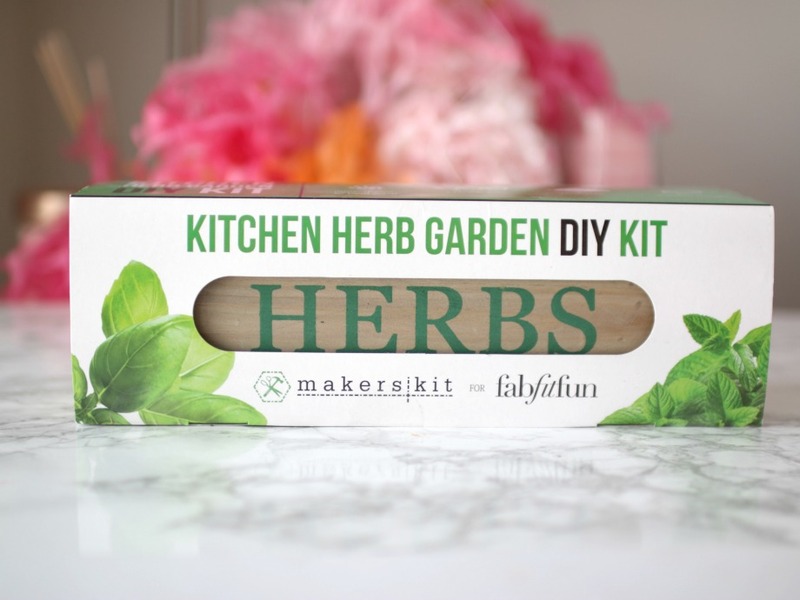 Makers Kit Kitchen Herb Garden DIY Kit--Every spring I swear I'm going to make a garden. As hard as I try, my brown thumb shines through. I literally have 1 plant that lives in water, and that's the only reason it's alive! But I will still try this for mint, thyme, and basil. Ish Contour Palette--Joey Malouf (makeup artist for Rachel Zoe, et al) has his own makeup line. I chose light-medium. 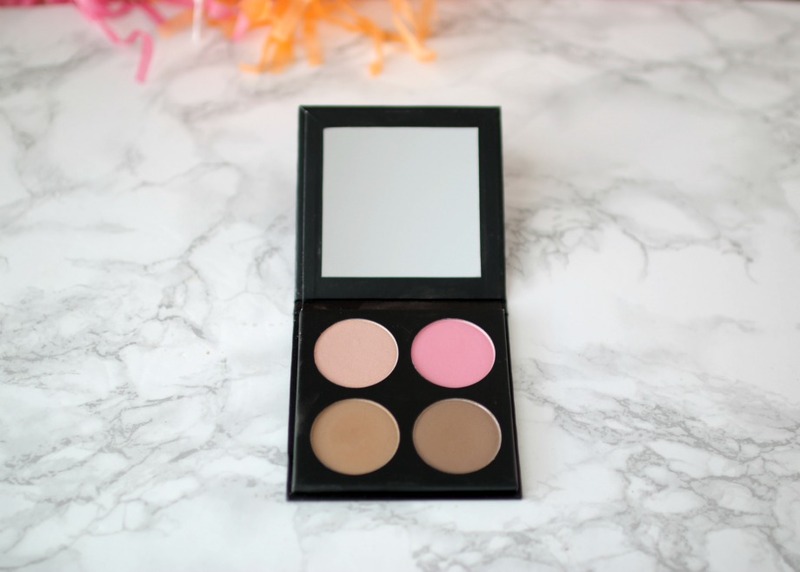 Inside is a gorgeous champagne highlight, blush, contour and bronzer. I want to try more. 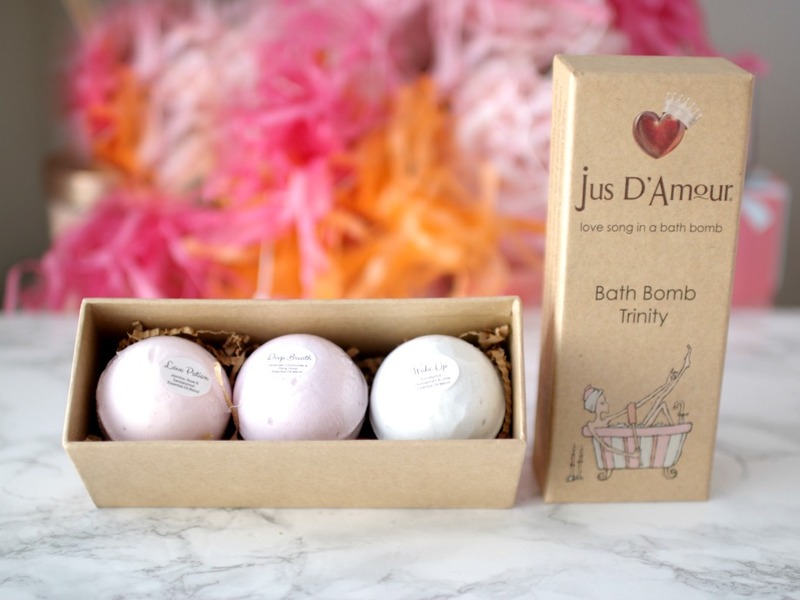 Jus D'Amour Bath Bomb Trinity--Because sometimes even the beauty guru doesn't want to make her own bath bombs. These smell great. Can't wait to try! Marrakesh Oil Hair Styling Elixir--Glass bottle (fancy) and a pump (more fancy) AND it smells nice (verrrrry fancy). Can't wait to try this out in my hair! I also received a couple of gift cards for jewelry places online, but those aren't as exciting, so no pics, hehe. I also made a quick (3 min) video talking about each product. It's a voiceover, something to mix it up. Let me know what you think! What product(s) did you find interesting? I'm currently testing the Tria Eye Wrinkle Correcting Laser DELUXE KIT! I'm trying to minimize my crow's feet. I'll be updating y'all weekly. I'm excited! So many great things in this box! I've been wanting that yoga strap! 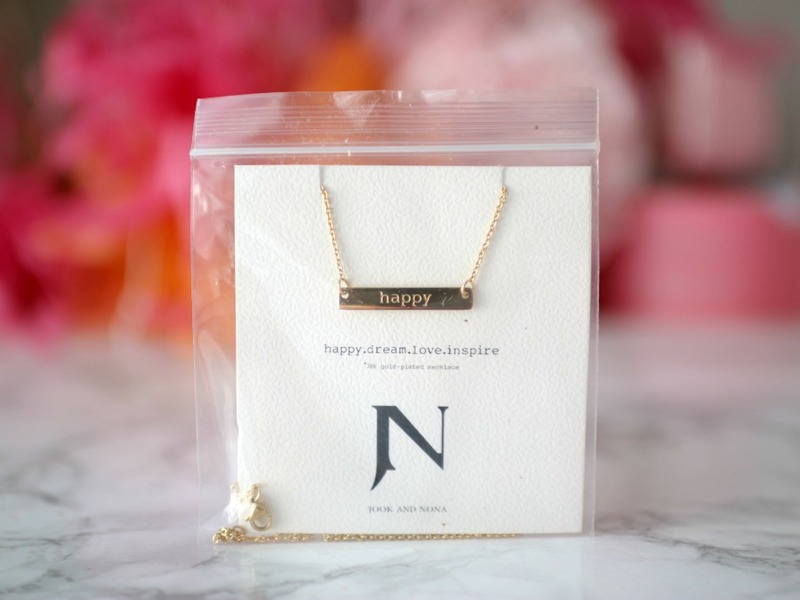 Your Happy necklace is so cute and I love the little herb planter! I've been trying to figure out how to grow some herbs in our apartment, so maybe I should look into that kit! I liked the voice over video, just something different! Your videos get better and better each time I watch one. what a great box! I really want to try the Ish contour pallet. I'm on the hunt for a good one. And you don't have crows feet, but I can't wait for the review! haha! Totally agree about the yellow pollen following me around! How cute is this kitchen garden!? My brown thumb also always seems to shine through. I blame it on lack of sunlight in our house haha! great stuff girl! i almost miss the fact I cancelled it last year. i could never keep a garden alive in my apt but i swear every year i'll do something in the window ha. that oil looks awesome! and bath bombs! What a fun box! That little happy necklace is the cutest! That Contour Palette is just divine! I´d love to hear the story behind your yoga experience. This always seems like one of the best boxes out there- I would have been excited from the herb box alone- so cool! I would love those gloves... my hands need all the moisture they can get. What a great box! Love that happy necklace. I have issues with herb growing too-but I keep trying because there is nothing that beats fresh basil in my book. Looks like a great box this season! Those gloves/socks sounds fabulous! You got a lot of great items. I was shocked later year that I was able to grow basil. I didn't even water it every day and it grow like mad. That herb kit is so neat! I definitely will have to give the video a listen once I am at home! What a fun box! All great things to use! 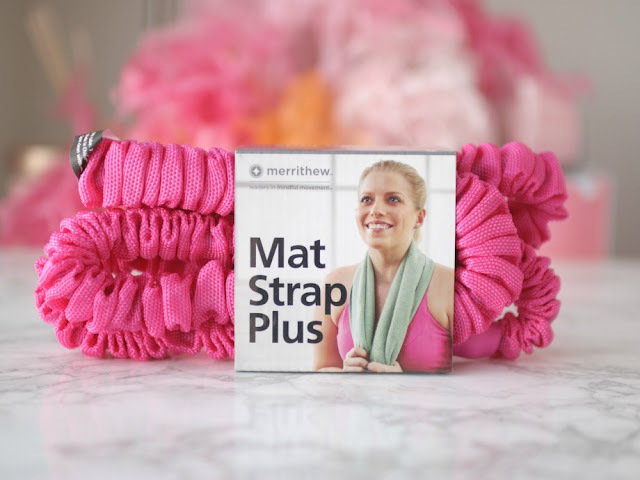 That yoga strap would be great for general stretching, I need one bad, I get sore when i go back to pure barre after a break. Can't wait to hear if the crows feet treatment works! I didn't know Joey Malouf had his own makeup line. I love him and Rachel Zoe! The palette is gorgeous. I can't wait to watch the video later. We can still be friends even though spring is my favorite season :) Ha! 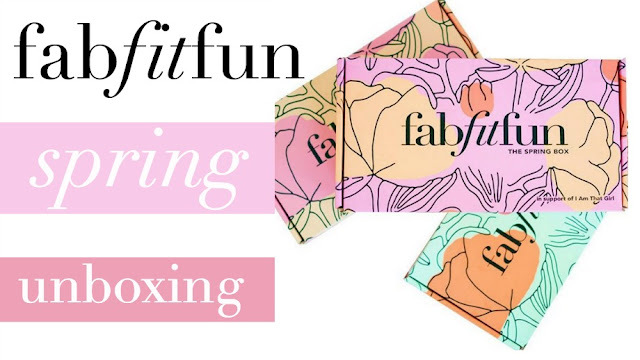 These look like such fun goodies! I love the necklace, and that hair oil does sound fancy! Good luck with the herb garden--I never have any luck either. This looks like a pretty good box overall! Definitely a wide range of useful stuff. Looks like you got a great box this month Elle!! That contour palette looks so pretty. Can't wait to watch the video later! so many goodies, lucky girl! Will be watching the video later! Can't wait! I've heard that the contour palette is really good! Pretty good box! What a fun box!!! It is so appropriate that you got happy :) I need to hear your yoga story! I love the DIY plant stuff because I have been wanting to start my own herb garden. I am thinking about just doing some window seal inside ones. Stay tuned on that haha! Cant wait to hear about this eye treatment that you are doing. The skin around my eyes in my most problematic aging area so I am always on the lookout for things that actually work! What a cute box! I love the garden kit, but I'd probably end up killing everything like I always do. I hope you have better luck! The contour kit also looks nice. i'm not a fan of spring in regards to allergies either.. but i do like that warmer weather is coming! that contour palette looks super pretty. The Ish Contour Palette looks gorgeous! And bummer re: allergies- that would definitely put a damper on feeling chipper about spring! I really liked the voice over aspect of this video! Neat! It may just be my audio being crazy, but whenever you stopped talking and it was only music playing, the music got super loud. Again, could just be my audio, but it might be worth checking into? Love the palette! The pink is gorgeous. Had no idea he had a line! So many great things in your box! I love that necklace! Great box of stuff! That necklace is so cute and I think that herb garden is really cool! What a great box! The necklace is so pretty. That small herb Garden looks so cute! I really want to try it ou! Love what you got in this box! I'm not that great with plants either, so let us know if the herbs work out!